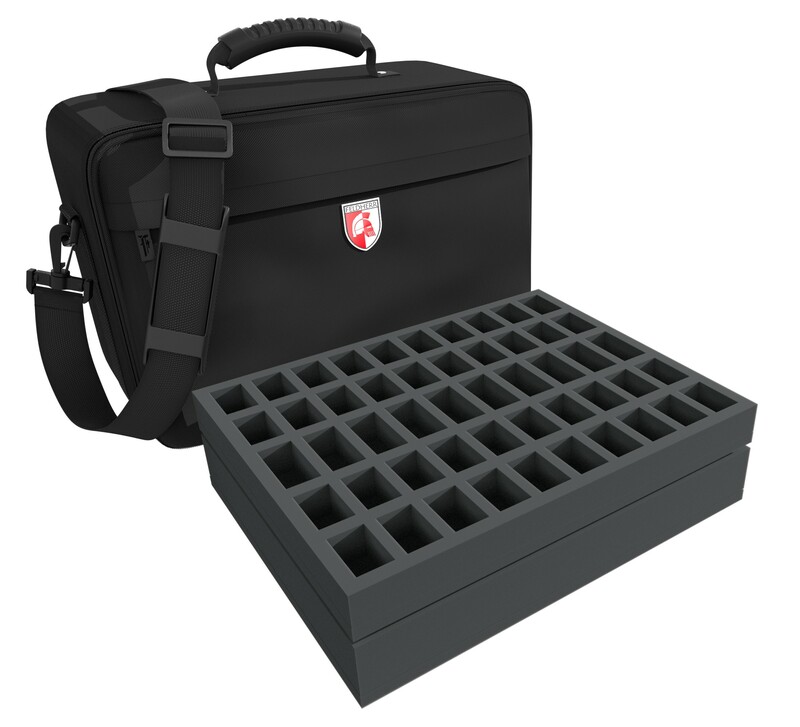 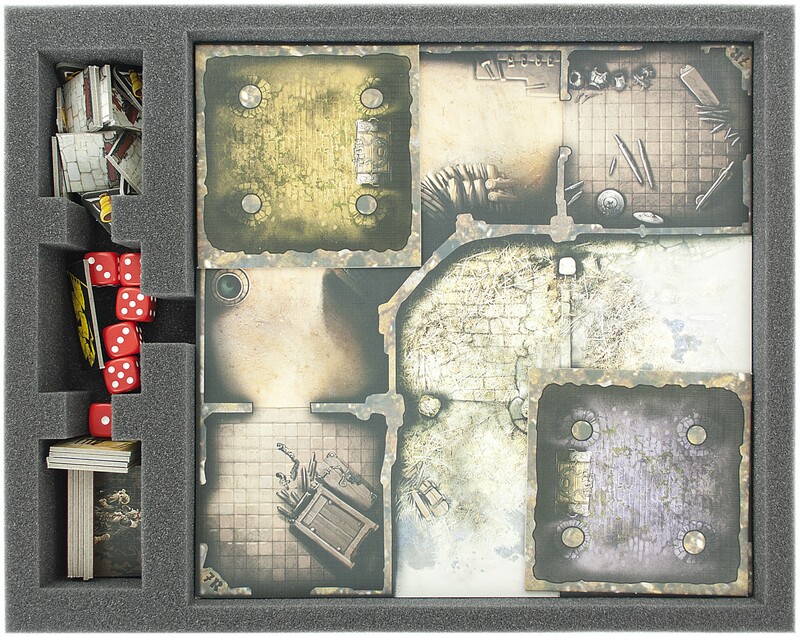 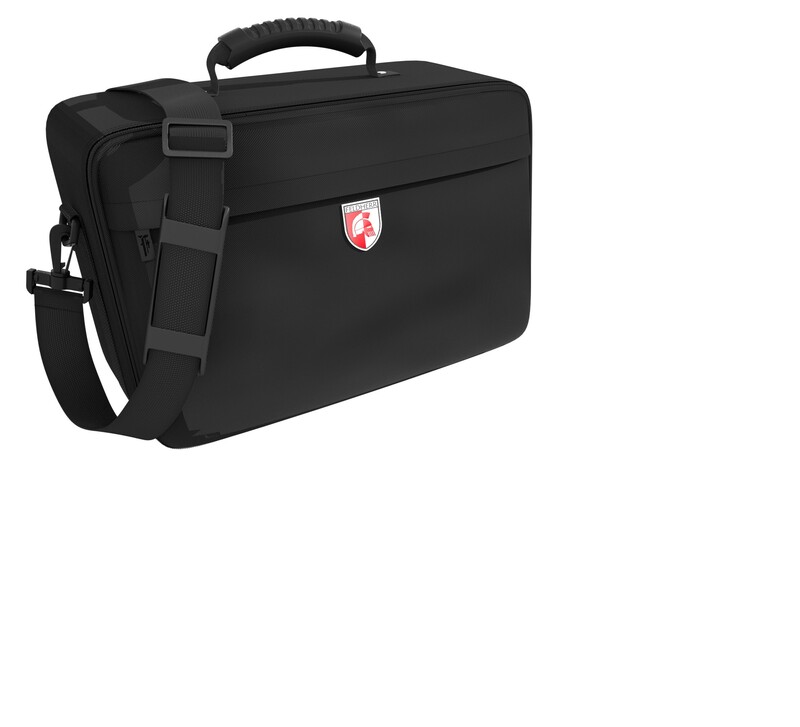 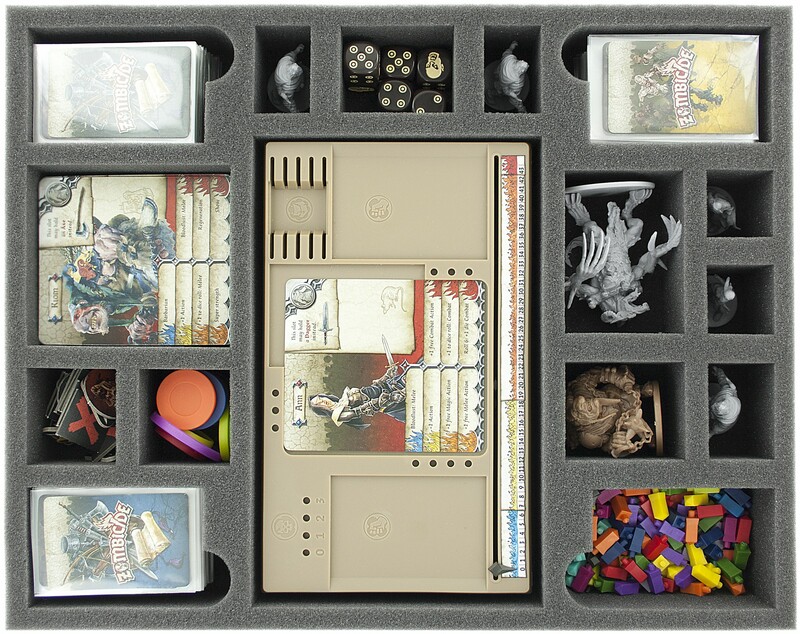 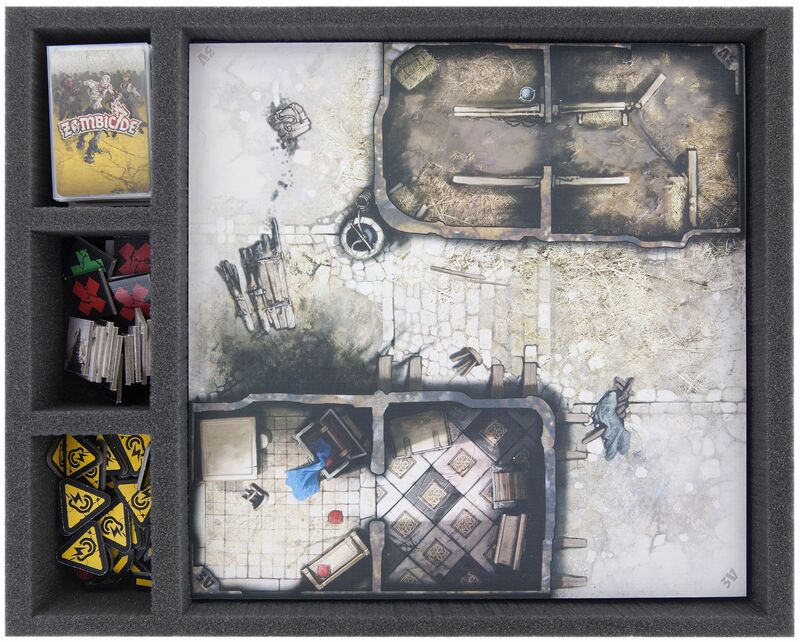 The Feldherr MAXI Bag is perfectly suitable to transport and safely stow the entire game material from the original Black Plague board game box. 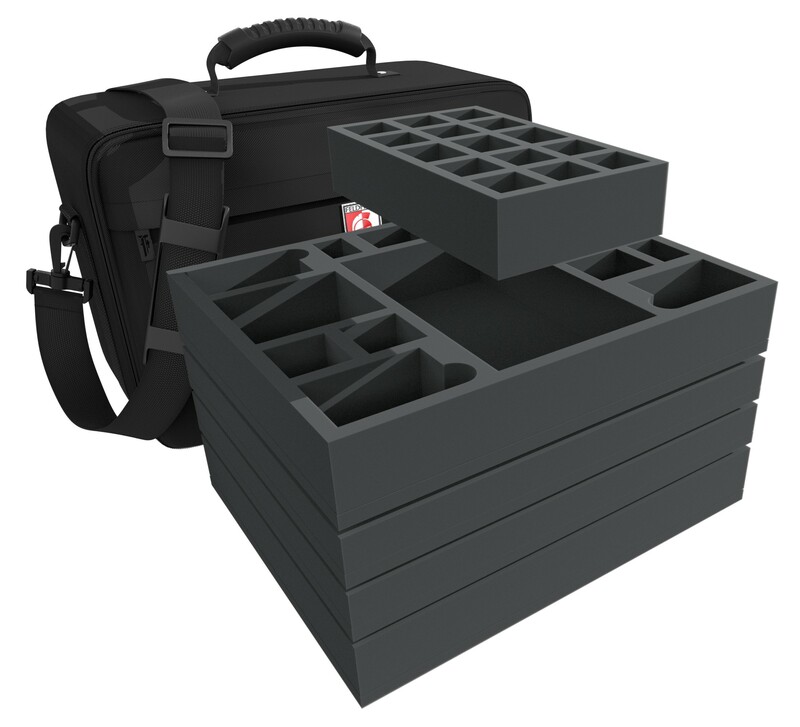 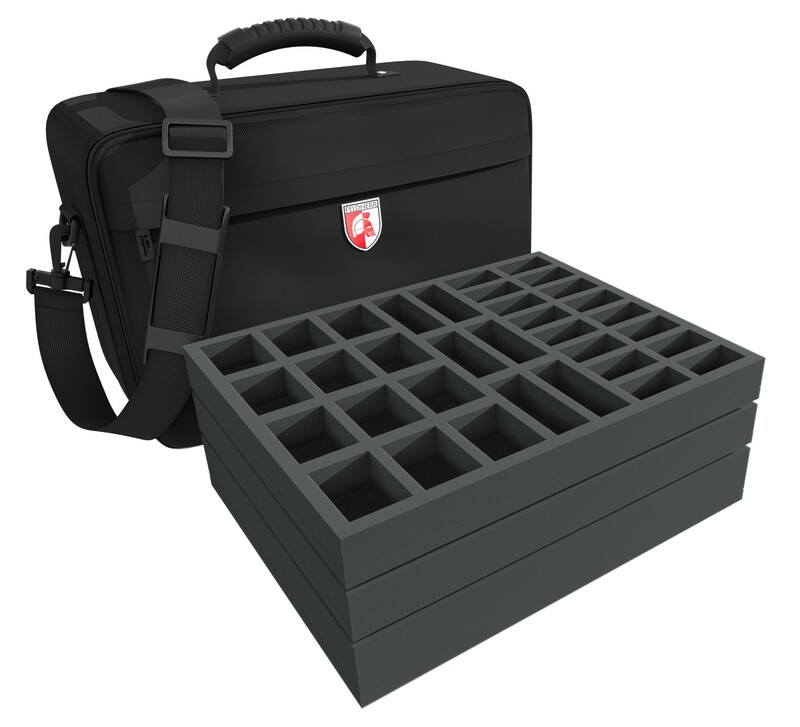 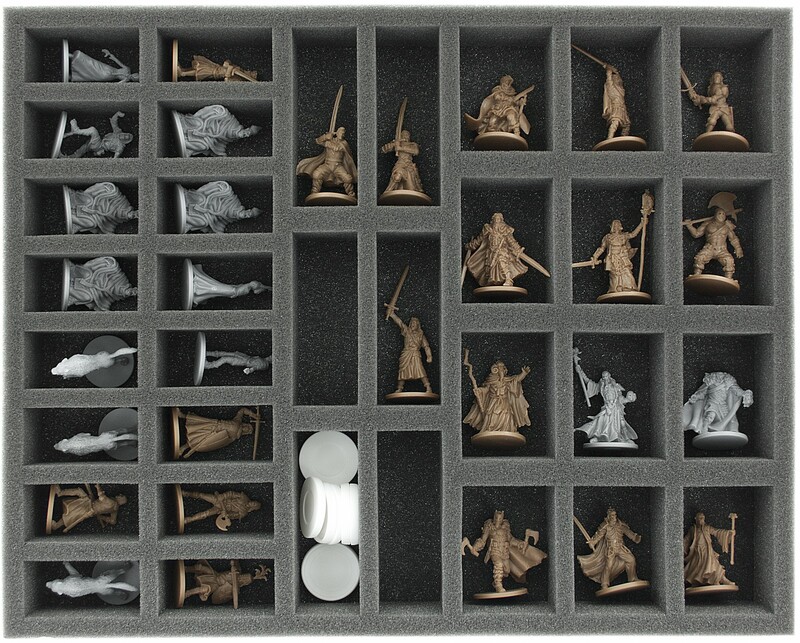 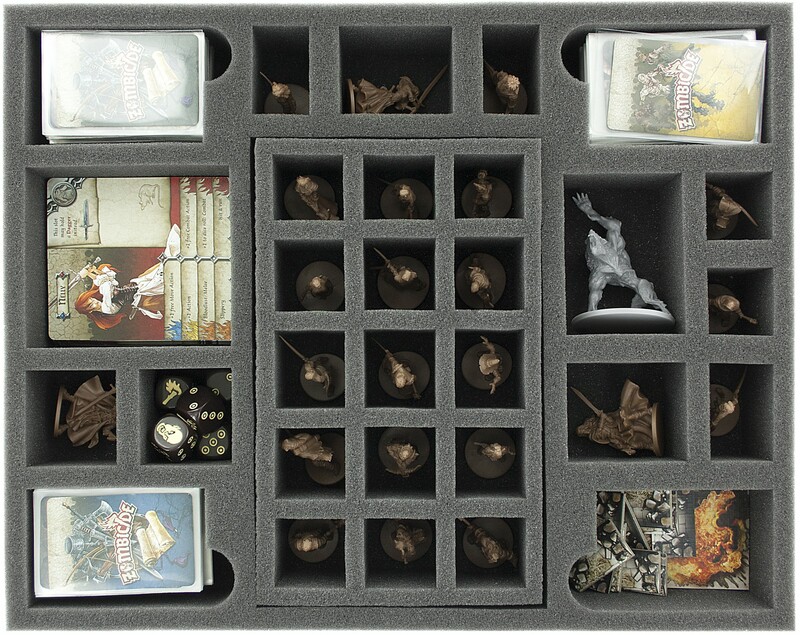 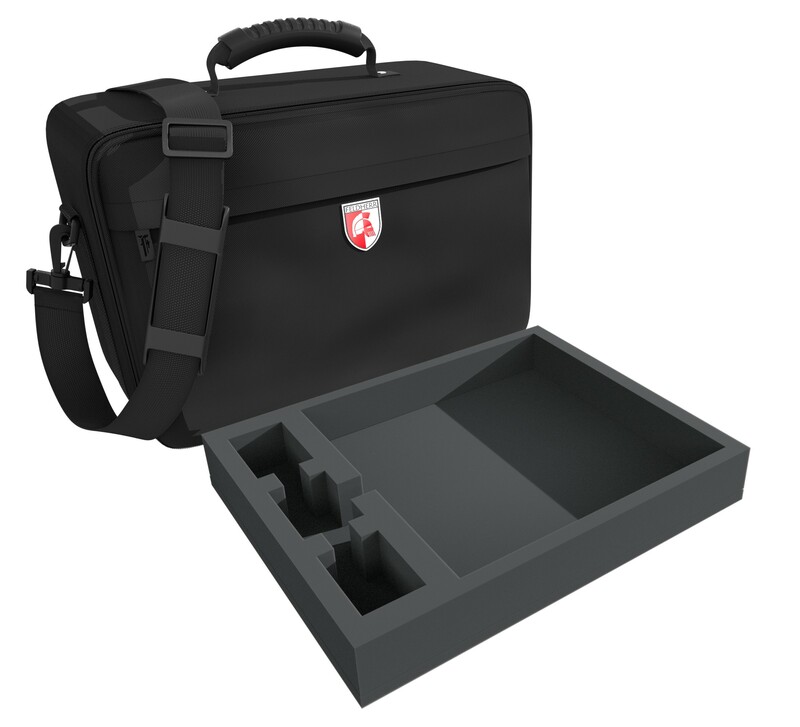 The compartment for the Dashboards can be subdivided with a included, free inssert in 15 smaller compartments. 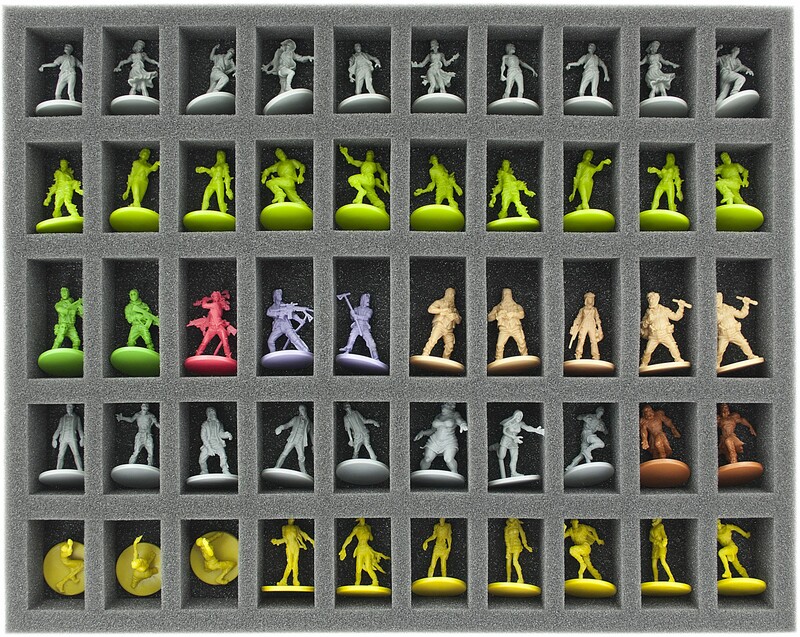 In addition, there is space for more than 13 other heroes and zombies.